Check out the Farm and Dairy staff selections for the top 10 stories to impact its readership in 2017. Take a look back at the most influential farm stories of the year, and comment below to share how these stories affected you. 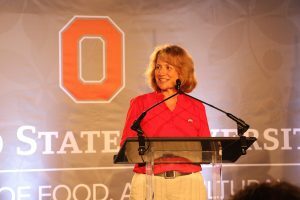 In March, Ohio State University named Dr. Cathann Kress vice president for agricultural administration and dean of the College of Food, Agricultural, and Environmental Sciences. Kress, the first female to hold the top post at Ohio State’s ag college, came from Iowa State University, where she was vice president for Extension and outreach. She started the new appointment May 1 and at the 2017 Farm Science Review outlined the ‘grand challenges’ that serve as the college’s priorities. Learn more: Ohio State Ag Dean Cathann Kress eyes ‘grand challenges’; Ohio State names Cathann Kress new ag dean. 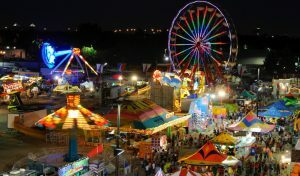 A spinning amusement ride called the Fire Ball broke apart on July 26, the opening day of the 2017 Ohio State Fair, killing Tyler Jarrell, 18, of Columbus, and critically injuring several others. The Dutch manufacturer of the Fire Ball, KMG, subsequently ordered similar rides to shut down worldwide. KMG later determined the cause was excessive corrosion of a support beam. Learn more: Pa. investigates amusement rides in wake of Ohio State Fair tragedy. This year was an especially destructive season for wildfires and hurricanes. 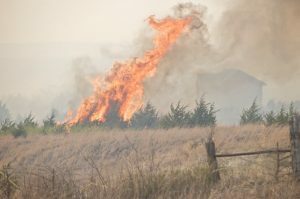 March wildfires burned nearly 2,100 square miles in Colorado, Kansas, Oklahoma and Texas, killing more than 20,000 livestock and destroying about $55 million worth of fencing. Then, multiple storms reached category 5 intensity, and several hurricanes made significant damaging landfall, including hurricanes Harvey, Irma, and Maria. Hurricane Harvey caused more than $200 million in crop and livestock losses in Texas, Irma caused over $2.5 million in damages to Florida’s agriculture industry, and Maria devastated 80 percent of Puerto Rico’s agriculture industry resulting in $780 million in losses. Firelands FFA members spend spring break in service; Stark fair rallies to support Harvey victims; Wildfire relief seeks donations for fencing; Montana Wildfire Cleanup with Local Farm & Dairy Subscribers; Cost to fight wildfires exceeds $2 billion; 7-year-old Ohio boy gathers supplies for orphaned calves in Kansas; Facebook spurs army of Ohio farmers headed for Kansas; Ohioans plan second convoy to Ashland, Kansas; Successive hurricanes devastate Puerto Rico; 4-H members gather hurricane relief funds; You can help farmers pounded by Hurricane Harvey. Dicamba has been around for decades, but recently farmers who planted soybean and cotton seeds not engineered to be resistant to the herbicide noticed damage to their crops due to drift. Thousands of soybean damage complaints were filed around the U.S. with over 20 filed in Ohio. The Environmental Protection Agency in October announced a deal with Monsanto, BASF and DuPont, for new voluntary restrictions on the weed killer’s use. North Dakota and Arkansas both introduced state-specific rules on dicamba use this year. In early December, Monsanto asked a judge to prevent Arkansas from placing the ban. 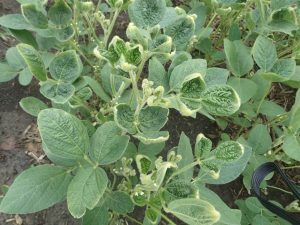 Learn more: Volatility plays a big role in dicamba drift. Donald Trump took office as the 45th president of the United States on Jan. 20, and Mike Pence was sworn in as vice president. Sonny Perdue, a veterinarian and former governor of Georgia, was sworn in as the 31st U.S. Secretary of Agriculture April 25. In President Trump’s first year, he influenced agriculture in several ways, including a crackdown on unauthorized workers already in the U.S. that affected several farmers in Ohio and Pennsylvania. He also proposed new restrictions on those who want to come here. That immigration policy will make it harder for farmers to fill new jobs. Trump was also quick to voice objections to free trade agreements, and moved to pull the U.S. from the proposed Trans-Pacific Partnership and the existing North American Free Trade Agreement. The opioid crisis has saturated our communities and every news outlet has reported on it in 2017. The ripple effects of opioid addiction reach our readers in different ways, from personal connections to decisions about community budgets. 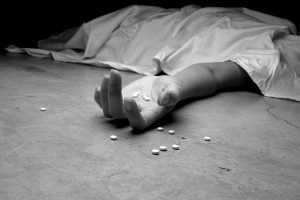 More Americans die from accidental drug overdoses than car accidents. Or guns. On average, in 2016, eight people died each day in Ohio and 13 in Pennsylvania due to unintentional drug overdoes. The FDA continues to research appropriate prescription opioid usage for patients. Our series Addiction: A Rural Reality was published in November and will remain at www.farmanddairy.com/ruraladdiction to inform and educate about the epidemic. Learn more: Addiction: A Rural Reality. About five years ago, higher commodity prices were driving the demand for more acres of Ohio’s top crops, namely corn and soybeans. But the trend shifted in 2017, as farmers are seeking other crops that might be more profitable. Many have turned to niche markets to keep the next generation interested in agriculture and to have a thriving farm to pass on to them. Some have been successful in earning higher profit margins in niche markets. 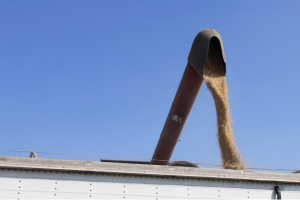 Ag Central, a grain elevator in New Castle, Pennsylvania, reported that farmers could expect triple the price for certified organic soybeans, but to anticipate half the yields. We have reported on malted barley, many organic trends, Wagyu beef and a traditional orchard that has expanded into agritourism, to name a few niche markets highlighted in 2017. Learn more: Farmers go farm to bottle with malted barley; Organic farming conference focuses on the next generation; Pa. feed mill receives organic certification; 5 things to know about Wagyu beef; Online farmers markets: a new trend in local foods; Apple Castle orchard and market: 7 generations and still growing. 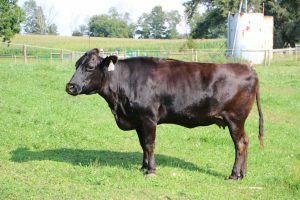 Ohio and Pennsylvania farmers were fortunate to avoid some of the widespread livestock diseases seen in previous years, but there were still issues. 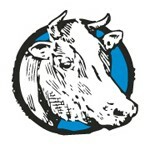 In Ohio, swine flu was detected at the Clinton County Fair in July, and county fairs across the state heightened their preventive protocols. In March, some Tennessee farms saw an outbreak of bird flu that resulted in the euthanasia of more than 200,000 birds in three southern states. 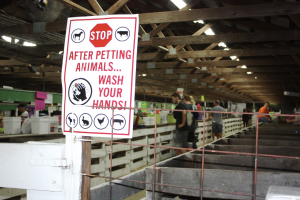 State ag departments reminded farmers and fairgoers to practice good sanitation and animal husbandry. Overall, outbreaks were less severe than in the past. Learn more: First case of swine flu serves as reminder; How to reduce the risk of swine flu during fair season. 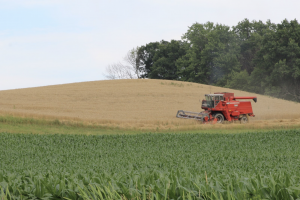 After three years of effort, Ohio farmers and woodland owners convinced the state legislature and governor to approve reforms to the state’s farmland tax formula — the Current Agricultural Use Value — that would more closely tie property taxes to actual farmland values. The new formula removes certain non-agricultural factors, like equity buildup, and allows conservation ground to be taxed at lower rates. The reforms are expected to save farmers about 30 percent, on average, beginning with 2017 reassessments. Learn more: Kasich signs budget with farm tax reform; What does CAUV reform mean for me? 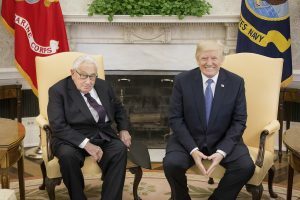 Just days after he became president in January, President Donald Trump pulled the U.S. from negotiating in the Trans-Pacific Partnership, a trade deal that some ag economists said would have boosted trade to 11 Pacific nations, including Japan, by $2.8 billion. The Trump Administration also announced it would renegotiate the North American Free Trade Agreement, which includes Canada and Mexico. As 2017 came to an end, it was still unclear what the U.S. position in NAFTA would be, and some farm groups were worried the president may pull out, as he did with other trade negotiations. 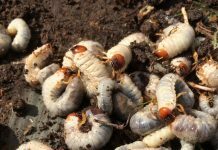 Learn more: Future of agricultural trade is unclear; Traders blame Trump for lower grain prices; U.S. and Canada dispute milk trade; Sonny Perdue’s big adventure.